Each February the town of Durango stages its grand Snowdown Celebration on the first weekend in February. 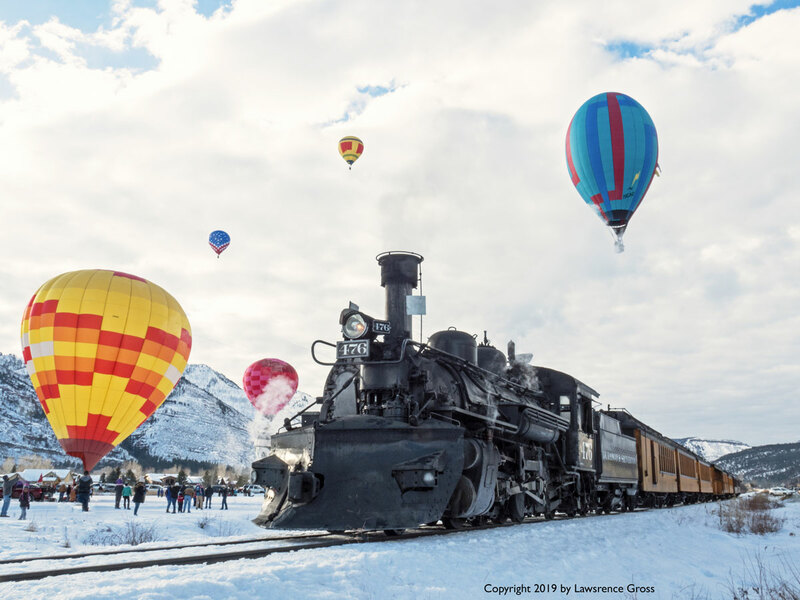 Among the many activities is a mass hot air balloon launch in the Animas Valley near the D&S crossing with Hermosa Meadows Road. 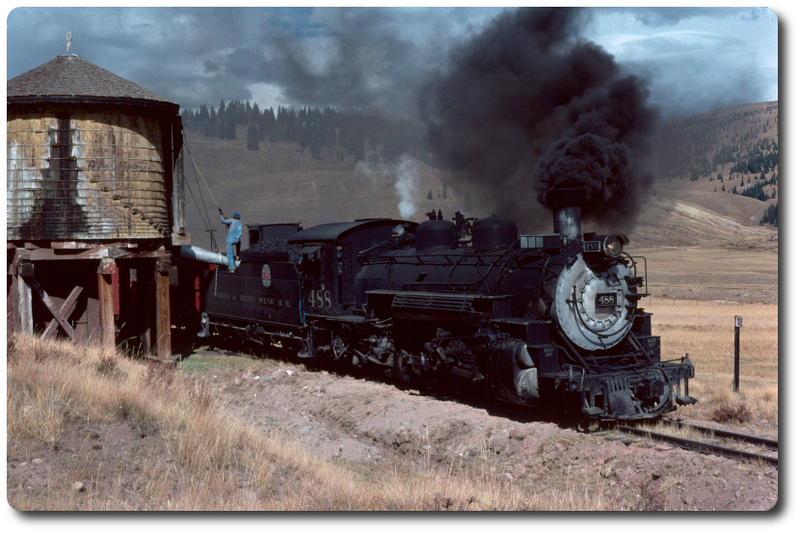 In honor of the event, the depature of the Cascade Turn is moved up by a couple of hours and the train pauses for 20 minutes or so to allow the passengers to disembark and take in the spectacle. Yesterday the winds were quite calm and many balloons were aloft or getting ready to launch as 476 waited for the passengers to reboard. Full disclosure - high tension lines were edited out of this image.